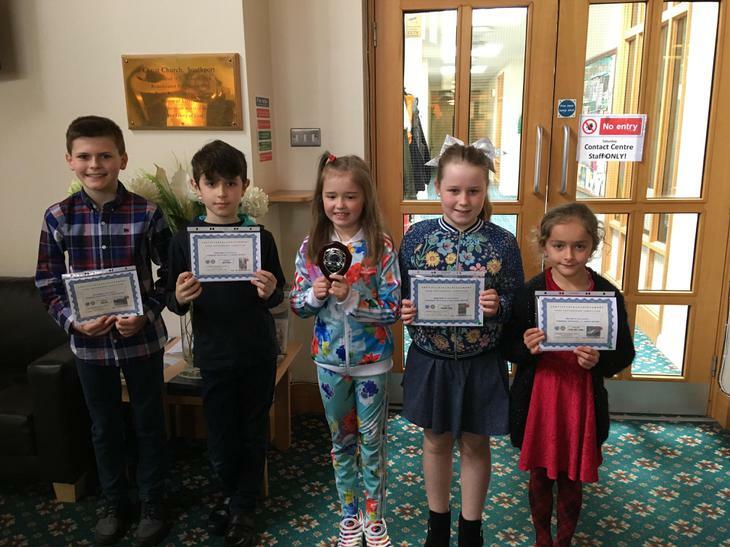 A big well done to all of our winners who received their certificates and prizes on Saturday 24th March at Christ Church Southport. The exhibition is now showing all the entries in Wayfarers Arcade until 8th April so please take a look. We are very proud of their achievements but also proud of all the children who took part in this competition as the standard was very high.